This is a photograph of Matthew F. Stephenson, who served as assayer of the Dahlonega Mint from December 1850-July 1854. 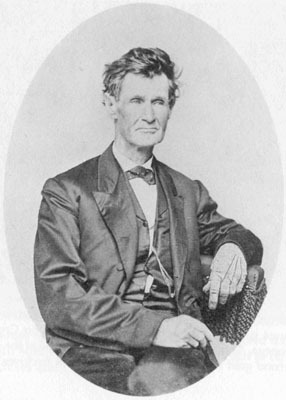 Stephenson is best known for trying to dissuade the local miners from going to California, following the discovery of gold in that state in 1848. His impassioned plea was later corrupted by Mark Twain, becoming the phrase, "Thar's Gold in Them Thar Hills." Source: Williams, David . The Georgia Gold Rush, Twenty-Niners, Cherokees, and Gold Fever. Columbia, SC: The University of South Carolina Press, 1993, unnumbered page following page 112.